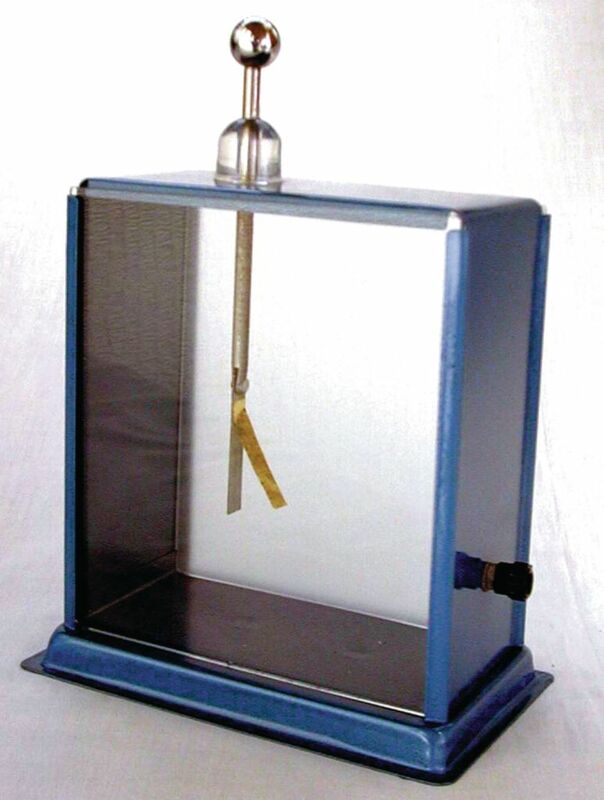 This high sensitive electroscope can detect charges that a regular electroscope cannot. A gold leaf is mounted on an insulated rod in a grounded metal case, and the glass windows at the front and back of the case allow for easy observation or projection. It is a good alternative for high humidity environments.